Cassandra Fairbanks’ account of her visit to Julian in the Ecuadorean Embassy paints a truly harrowing picture of the conditions in which he is being held. Last week after receiving a message from Julian I applied to the Ecuadorean Embassy to go and see him. I have done this many times but a new regime has established involving forms and strict time windows. The Ecuadorean Embassy claim not to have received my email with the application, which is peculiar as I received no undeliverable message and bcc copyees received it. I therefore re-sent it with a new email advising they may change the date and time if the original is not now achievable. I have heard nothing so far in response. Chelsea Manning is currently entering her fourth week of solitary confinement for refusing to testify against Assange before a grand jury. The United States wishes to extradite Julian Assange to face charges, not of collusion with the non-existent “Russiagate”, not with a sexual offence stitch-up. 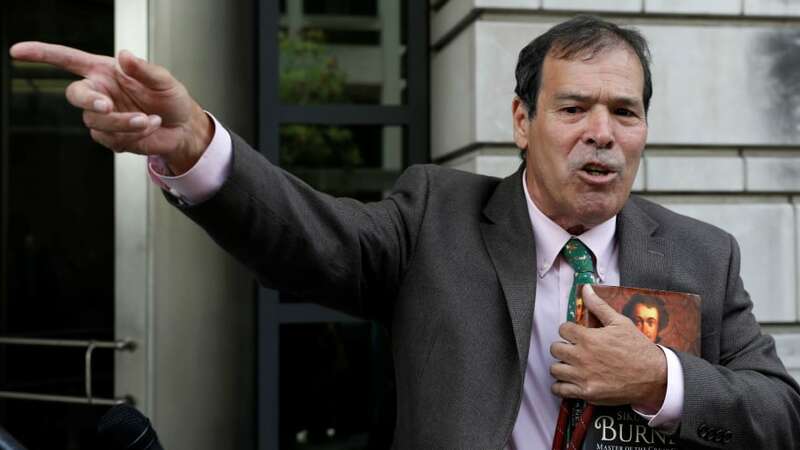 They wish to charge him with publishing the evidence of extensive US war crimes in Iraq and Afghanistan, and with publishing the US diplomatic cables including the one I drew on last week which prove that the US and UK conspired to establish a marine reserve around the Chagos Islands as an environmental fraud to maintain the deportation of the islanders from what is now the US nuclear and torture base. Many tens of billions of dollars are spent every year on western security services, and they are not stupid. The use of contrived sexual allegations to detach progressive figures from their support base is well established practice. But the allegations against Assange in Sweden are long gone, never reached the stage of a charge, and fell away immediately once Assange was finally interviewed by Swedish police and prosecutors in the Embassy. The whole Russiagate fabrication has been exploded as the media confection it always was. The false left and liberals have until now been delighted to hide behind Russiagate or Sweden to avoid asking themselves the fundamental question. Julian Assange is merely a journalist and publisher. The fundamental question is, should a journalist or publisher be locked up for life for publishing leaked documents showing war crimes? If the answer is yes, where is press freedom? That is now the unavoidable question. The security service patsies at the Guardian, however, prefer to retail ludicrous accusations from CIA asset Lenin Moreno – accusations motivated by the revelation of Moreno’s Panamanian offshore accounts – in frenzied efforts to maintain the tactic of diversion. I would be very grateful if someone with the ability to do internet topological node mapping could produce a couple of maps for me for “Russiagate” and “Integrity Initiative” over the past nine months. It is important that other parameters are the same for a direct comparison. I am writing a piece on the collapse of the Russiagate narrative. 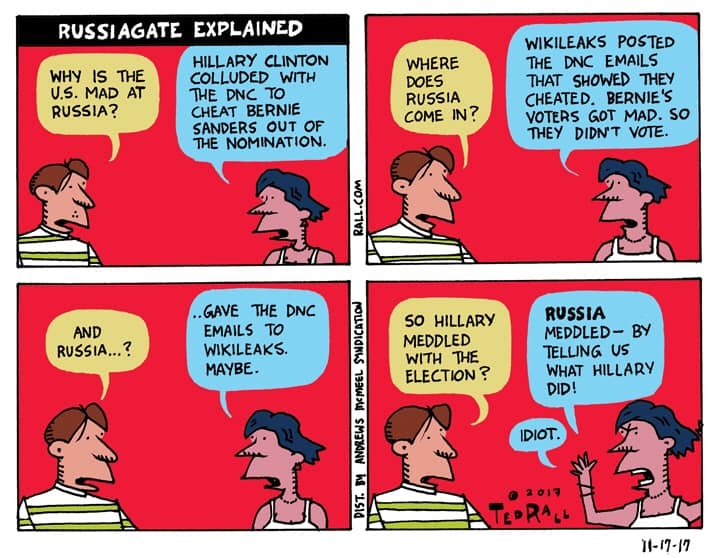 I make the point that the MSM promoted the crazed and untrue “Russiagate” conspiracy theory to an astonishing degree. At the same time, the MSM almost entirely ignored the very real government funded conspiracy to pervert public opinion which is the Integrity Initiative. That the MSM promoted the Fake News Russiagate conspiracy, while only the alt media reported the genuine news of the real Integrity Initiative conspiracy, is beyond doubt true. But it would nevertheless be good to have those internet node maps to provide a striking illustration of that truth. Here is the video of my Chagos discussion with Alex. The large majority of the financial support for this blog comes from supporters of Scottish Independence, and I have been extremely, extremely grateful for your support this past year. But everybody who is OK with this particular gesture by Nicola Sturgeon, I should thank you now to cancel your subscriptions because I really don’t want your money. For me, the death of millions of people in the Middle East, and Alastair Campbell’s role in the deliberate manufacture of a dossier of lies to cause an aggressive war that led to those deaths, were life-changing events. It led me to pursue the end of the imperialist British state. If you think that the Iraq war was just a forgivable policy error I do not want your money. If you think that consorting gleefully with war criminals is a sensible bit of realpolitik I do not want your money. Nicola spoke at the pro-EU rally today. 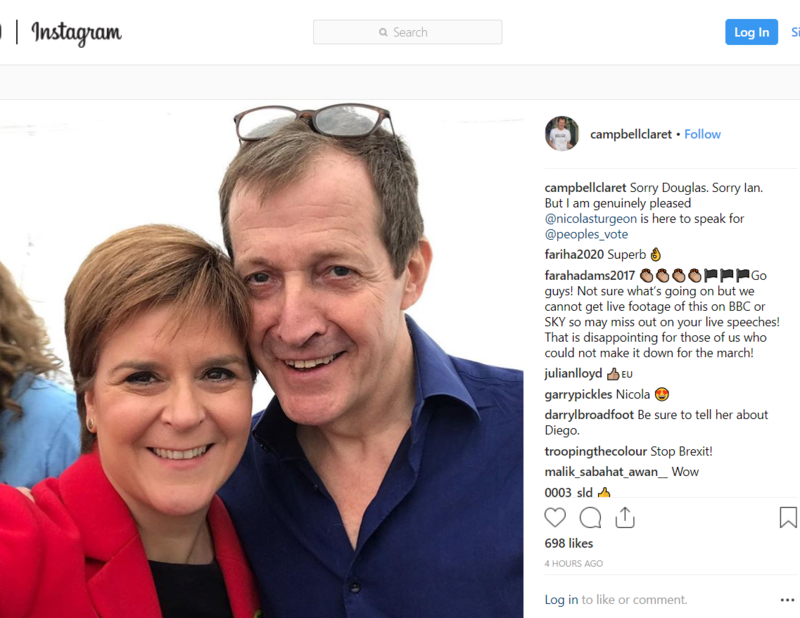 It has been explained to me by countless people these five years that Nicola cannot speak at pro-Indy rallies – and she has not done so since 2013 – because as First Minister she has to maintain dignity and not take controversial political stances. If you think it is fine for Nicola to show zero interest to speak at pro-Indy rallies, yet show huge enthusiasm to join the Blairites at this event, I do not want your money. Refunds are available on application. The Independent Scotland which I want is not just for a continuation of UK neo-con defence and foreign policy. If you support that, stick with me. But not if you believe Nicola shares those goals. I have no desire to rob the deluded. Brexit has revealed further the rottenness of the British political Establishment, but I am still truly shocked now to see the Government of the United Kingdom negotiating a major international treaty on the acknowledged, discussed and now published basis that it has every intention of breaking that treaty once it is in force. Officially published by the Attorney General, no less. The Westminster Government’s contempt for international law was fully demonstrated just two weeks ago when it repudiated the International Court of Justice – an act which is the ultimate disavowal of the rule of international law – over the decolonisation of the Chagos Islands. So in one sense it is no shock that they are prepared to sign a treaty with no intention of honoring it. But what is quite astonishing is that the discussions with the DUP and ERG on how to sign up to the backstop and then dishonour it, have been carried out fully in public, and with the potential other party to the treaty looking on. I simply do not see how the EU can now sign the Withdrawal Agreement which was negotiated with May, when they have been given firm evidence that the UK intends to cheat on that Agreement. I especially cannot understand the pusillanimous attitude of the government of Ireland to this development. The UK has published in advance that it is taking Ireland and the Irish people for fools and has no intention of keeping to the Irish backstop. The reaction of the Government of Ireland is to pretend not to notice. That is an astonishing dereliction of its duty to the people of Ireland, North and South. The more so as Geoffrey Cox’s “advice” is an unsubtle hint to the DUP, should the backstop become effective, to restart the Loyalist violence with which they were for decades so closely associated, in order to provide the pretext for cancelling the backstop. In reading this, it is essential to remember that this legal advice was written, as a matter of definite fact, directly for the DUP audience to try and influence the DUP in the next “meaningful” vote. To signal to an organisation as steeped in blood as the DUP that the way out of the “Backstop” arrangement which they so hate, would be to demonstrate it is having a “socially destabilising effect in Northern Ireland”, clearly gives a very direct incentive to Loyalists to restart violence. Anybody who knows anything about the history and politics of Northern Ireland must be aware that what I have just written is true. At the very best reading, Cox’s “advice” is grossly irresponsible and reckless. Very plainly indeed, neither 1 a) nor 1 b) apply to the situation Cox outlines. Just not working out the way you intended is not grounds to dishonor a treaty. Social discontent in Northern Ireland would not radically transform the obligations under the treaty nor is social content the essential basis of consent to the treaty. The second, and frankly hilarious, point is that Cox’s advice is demonstrably nonsense. To permit the dishonoring of the treaty, a change in circumstance must not only be “fundamental” it must also be “unforeseen”. Yet in his legal advice Cox foresees and specifies the “unforeseen” event that might lead to cancellation! It is worth reminding you – as the MSM refuse to do – that the Tory Brexiteers oppose the Good Friday Agreement, and destroying it is to them a potential gain from Brexit rather than a disaster to be averted. Remember this by Michael Gove, asserting that the British military option would be better than the Good Friday Agreement? by force of arms would rob the republicans of hope. It can be done. But does any Government have the will? Interestingly enough, after I published an article on Gove’s 58 page pamphlet attacking the Good Friday Agreement, the Tory think tank which published it, the Centre for Policy Studies, immediately took it down from the web. I have, however, copied it to my own website. 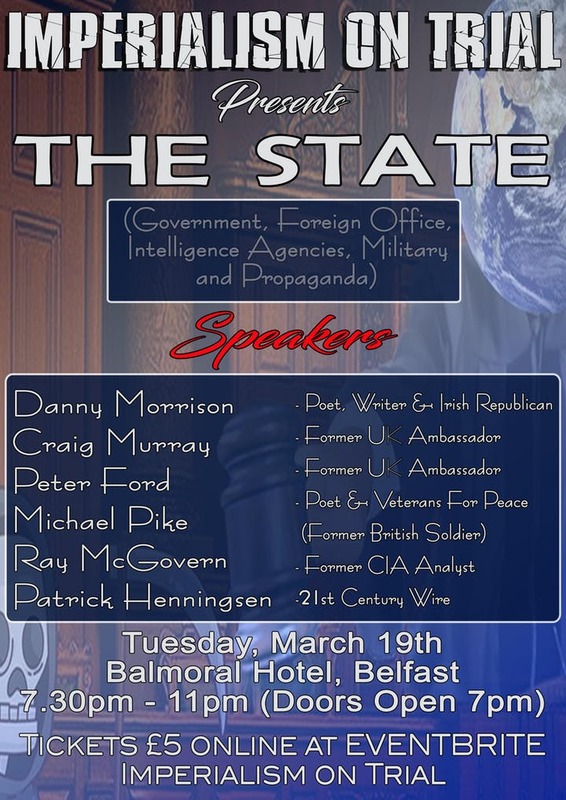 By chance, my next couple of speaking engagements are in Northern Ireland. This is not the subject I was intending to discuss, but I never know what I am going to say when I stand up anyway. Happy to answer questions on anything. My long article on the Chagos Islands sat unfinished yesterday, despite my passion for the subject, as I was horribly fascinated by the Gothic twists and turns of the Brexit debates in the House of Commons. I seldom write on the subject, but some observations seem now called for. The Westminster system of handling business is designed purely to handle binary questions disputed between two major parties. Where those parties are both themselves hopelessly riven by internal conflict, and the issues not simply reduced to a manageable number of binary choices, Erskine May just cannot cope. Parliament thus ended up yesterday with a vote in which the majority of MPs who voted against May’s Withdrawal Agreement view its Irish Backstop provision as almost the only decent thing in it – an opinion with which I tend to concur. They however were egging on the antediluvian DUP/ERG faction to join them, on the basis of an argument that the Irish Backstop is terrible and could be permanent, neither of which anyone sensible really believes. It says something about the insanity of UK politics that the debate quite seriously hinged around discussions of what happens if the EU acts in bad faith and used the “backstop” deliberately to trap the UK permanently in the Customs Union. The notion that the EU is acting in “bad faith” is frankly ludicrous. No trading partner has ever accused the EU, which has the most transparent negotiating process on trade deals of any country or trading bloc, of acting in bad faith. In its own interest, yes. In bad faith – ie lying and tricking – no. The notion that the EU is like SPECTRE, and its leaders sit round a table headed by Blofeld Junker conjuring up evil plots to trap the UK in a customs union, is stark raving mad. It is an absolutely crazed conspiracy theory. Yet pro-EU MPs were pretending to share this conspiracy theory in order to encourage the ERG/DUP nutters to vote down May’s deal. That is madness. Nobody should be perplexed that the EU has absolutely had enough of May and her government today, having watched yesterday Westminster hold a debate entirely centred on the premiss that the EU acts in bad faith. The most important demonstration of bad faith now comes from Theresa May. She proposed a motion for debate this evening ruling out “no deal”, but – her cunning plan – specifically ruling out a no deal Brexit on 29 March, so the Government can argue No Deal has not been ruled out on any other date, and also with a clause re-asserting that No Deal remains the default position in law. In live parliamentary proceedings, Yvette Cooper – a person of whom I am not the least fond – appeared the only one immediately to pick up on what May was doing, though I gather amendments now show others have cottoned on. May’s plan is to ask for a short extension after the next two days’ votes, then pretend to be renegotiating (again), and then bring back her same hard Brexit deal yet again to the Commons for yet another vote, this time with imminent and unstoppable No Deal as the only alternative, the EU having been pissed off to the point where it will not agree to any further extensions. The truth is, there is a Commons majority for a soft Brexit with a Customs Union. In a free vote without party whips, that would sail through. But it is not what May wants personally as it breaks her “red lines”, all of which are entirely predicated on stopping Free Movement. Hatred of immigrants remains the defining motive of her entire career. Customs Union and Single Market access are not going to be obtainable without Free Movement. The truth is, it is May who is acting in bad faith. She has no intention of negotiating anything other than her Red Lines with the EU, and has no intention of engaging in any kind of meaningful renegotiation, delay or no. A delay to Brexit is absolutely pointless while May remains Prime Minister. May rightly calculates that her ultra-hard Brexit red lines were required to keep the Tory Party together, and thus keep her in power. She cares much more for being in power than she does for a solution. The comparison with Robert Peel is very apt. He reached across the aisle whilst PM and split the Tory Party to repeal the Corn Laws. There are many statues to Peel around the country. There will never be any to Theresa May. The party, parliamentary and political system of the UK has simply become dysfunctional. This is a symptom of the much wider fact that the UK is no longer a viable socio-political entity and will not continue to exist much longer. Its system of economic regulation promotes the accumulation of vast wealth by a tiny minority, while not providing a decent standard of living to millions. There is massive disillusion with its political leadership and distrust of its extremely narrow mainstream media. What we are witnessing at Westminster is plainly not a functional political system. It is essential that the SNP now strike out decisively for Scottish Independence. Westminster will never be held in more contempt by the public, so there will never be a better time to assert the right of the Scottish people to decide for themselves on Independence without being blocked by Westminster. Ian Blackford was very good on this yesterday. The rise of Jeremy Corbyn to lead the Labour Party is not a chance; it is based on popular reaction to the failure of the UK political system to satisfy the needs of, and deliver a fair society for, the general population. Despite desperate Establishment attempts to smear the Left, I suspect these underlying factors may still propel Corbyn to victory. He needs to come to terms rapidly with Scotland’s right to self-determination, and stop regarding Scots as an irritant. In looking at yesterday’s events in grim despair, in regarding May’s devious plans and contempt for the wider interest with profound distate, be comforted. It is all a sign that the British Establishment has its coat on a very shoogly peg. It is not long now. On International Women’s Day yesterday Chelsea Manning was imprisoned yet again, this time for refusing to testify against Julian Assange before a Grand Jury. Chelsea has already suffered over seven years of total imprisonment – no American had ever previously spent more than three years in jail for releasing government secrets to the public, in a land which had historically valued free speech. I am in awe of Chelsea’s courage in refusing to testify, and shocked at a system that imprisons somebody for contempt of court for maintaining dignified silence. Chelsea has also done a great service in finally stripping away the last vestige of excuse from the figures who refuse to support Julian Assange, pretending that they do not believe he faces extradition to the United States, and that the legal issue is not about Wkileaks’ right to publish. The potential charges in Sweden – always based on quite ludicrous accusations – were dropped years ago after he was finally interviewed in the Ecuadorean Embassy by Swedish police and prosecutors, and it became very plain indeed there was no viable case against him. Chelsea has gone to prison for refusing to participate in the prosecution of Wikileaks for publishing materials that revealed war crimes in the American occupation of Iraq and Afghanistan. Chelsea is a whistlebower, not a publisher. Assange is a pubisher, not a whistleblower. If Assange can be prosecuted for publishing official secrets, then so can every newspaper editor or television editor involved in the receipt of whistleblower material. There is a massive, a fundamental, media freedom issue at stake here. Even so, the MSM in the UK do not even have the guts to state the truth about what causes Julian to be confined to the Ecuadorean Embassy, let alone to support his right to publish. Nazanin Zaghari Ratcliffe is in jail in Iran for spying for the British. She is certainly not an MI6 officer, and I can’t see that she would have sufficient access to information to make her of much use as an agent (as MI6 calls its informants). That she was involved in training Iranian journalists or citizen journalists in ways the Iranian government did not like is much more probable, but does not amount to espionage. Even if she were some kind of low level informant to MI6 (which I doubt), the Iranian authorities have sufficiently made their point and it is time to let her go. The British government’s attitude to this case has been particularly interesting and extremely unusual. I cannot criticise them for the things they have done, because they are the things I used to get frustrated with them for never doing. But their handling of this case is truly out of the ordinary. The UK allows dual citizenship. It has been longstanding Foreign Office policy that the UK does not give consular protection to UK dual nationals in the country where they are also a national. If the other state does not allow dual citizenship, it might not recognise any British standing in the matter. But there is another compelling reason for the standard policy of not assisting in these circumstances. When working in Embassies, I used to get infuriated by cases where I wished to help people but was not allowed to, because they were dual citizens. It was explained to me, that if in Nigeria alone we accepted as consular cases all the British/Nigerian dual nationals in Nigerian jails, that would already double the FCO’s entire consular caseload worldwide. To accept dual nationals as consular cases everywhere in their other homeland would increase consular work by a large multiple and require a very large increase in FCO resources. I nevertheless always felt we could do more. That the British government had, prior to yesterday, already done so much to try to help Nazanin Zagahari Ratcliffe, even though she was an Iranian dual national in Iran, was already extremely unusual. That the UK has now “adopted” the case, raising it to the level of a state dispute, is something not just unusual, but which I don’t think has happened since the First World War. Please note this is not the same process as granting Zaghari Ratcliffe herself diplomatic status, which has not been done. Again, I can’t criticise the FCO for this, because adoption is something I had urged them to do in a past case while I was on the inside, (shout out to my friend John Carmichael), again being told by the FCO it was not possible as we never do it. Whether the move is effective or wise in this case, is quite another question. It seems to me likely the Iranians will take it as confirmation that she is a spy. I would urge the Iranian government to take this course; they should now declare the the adoption of the case as a state dispute proves that Zaghari Ratcliffe is a spy, and having been proven right before the world, they will let her go as an example of mercy and compassion. There are two fundamental points here. The first is that Iran has been subjected for years to crippling sanctions and an international campaign of hate spread by western government propaganda and their MSM. Western governments have aligned themselves with Saudi and Israeli sponsored brutal proxy wars against Shia communities across the Middle East, which look to Iran for protection. If the Iranian government is defensive and suspicious, is that really surprising? The week after the British government declare Hezbollah, the political and security organisation of Lebanese Shias, to be nothing but a terrorist organisation, do the Tories really think the Iranians will be looking kindly on them and their demands over Zaghari Ratcliffe? The second point is that the entire purpose of the state “adopting” a case, is to make available the dispute resolution mechanisms which operate between states. But the UK only a few days ago repudiated the International Court of Justice, the final arbiter of such disputes, over the Chagos Islands. As the UK shows total contempt for international law, this attempt to access its remedies will be met with derision by the wider international community. Three days ago Sky News had an outside broadcast from the front of the Skripals’ house in Salisbury, where they explained that the roof had been removed and replaced due to contamination with “novichok”. I cannot believe that a gel, allegedly smeared or painted onto the doorknob, migrated upwards to get into the roof of a two storey house, in such a manner that the roof had to be destroyed, but the house inbetween did not. As the MSM never questions the official narrative, there has never been an official answer as to how the gel got from the doorknob to the roof. 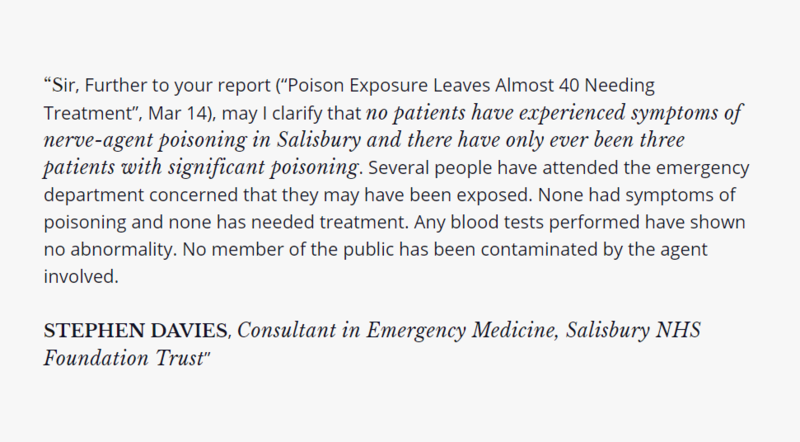 Remember that traces of the “novichok” were allegedly found in a hotel room in Poplar, which is still in use as a hotel room and did not have to be destroyed, and an entire bottle of it was allegedly found in Charlie Rowley’s house, which has not had to be destroyed. Novichok was found in Zizzi’s restaurant, which did not have to be destroyed. So we are talking about novichok in threatening quantities – more than the traces allegedly found in the hotel in Poplar – being in the Skripals’ roof. How could this happen? As I said in the onset, I do not know what happened, I only know what I do not believe. There are theories that Skripal and his daughter might themselves have been involved with novichok in some way. On the face of it, its presence in their roof might support that theory. The second thing I do not believe is that the Skripals’ roof became contaminated by gel on their doorknob so that the roof had to be destroyed, whereas no other affected properties, nor the rest of the Skripals’ house, had to be destroyed. The very first person to discover the Skripals ill on a park bench in Salisbury just happened to be the Chief Nurse of the British Army, who chanced to be walking past them on her way back from a birthday party. How lucky was that? The odds are about the same as the chance of my vacuum cleaner breaking down just before James Dyson knocks at my door to ask for directions. There are very few people indeed in the UK trained to give nursing care to victims of chemical weapon attack, and of all the people who might have walked past, it just happened to be the most senior of them! The government is always trying to get good publicity for its armed forces, and you would think that the heroic role of its off-duty personnel in saving random poisoned Russian double agents they just happened to chance across, would have been proclaimed as a triumph for the British military. Yet it was kept secret for ten months. We were not told about the involvement of Colonel Alison McCourt until January of this year, when it came out by accident. Swollen with maternal pride, Col. McCourt nominated her daughter for an award from the local radio station for her role in helping give first aid to the Skripals, and young Abigail revealed her mother’s identity on local radio – and the fact her mother was there “with her” administering first aid. Even then, the compliant MSM played along, with the Guardian and Sky News both among those running stories emphasising entirely the Enid Blyton narrative of “plucky teenager saves the Skripals”, and scarcely mentioning the Army’s Chief Nurse who was looking after the Skripals “with little Abigail”. I want to emphasise again that Col. Alison McCourt is not the chief nurse of a particular unit or hospital, she is the Chief Nurse of the entire British Army. Her presence was kept entirely quiet by the media for ten months, when all sorts of stories were run in the MSM about who the first responders were – various doctors and police officers being mentioned. If you believe that it is coincidence that the Chief Nurse of the British Army was the first person to discover the Skripals ill, you are a credulous fool. And why was it kept quiet? This has been noted many times, but no satisfactory answer has ever been given. The official story is that the Skripals were poisoned by their door handle, but then well enough to go out to a pub, feed some ducks, and have a big lunch in Zizzi’s, before being instantly stricken and disabled, both at precisely the same time. The Skripals were of very different ages, genders and weights. That an agent which took hours to act but then kicks in with immediate disabling effect, so they could not call for help, would affect two such entirely different metabolisms at precisely the same time, has never been satisfactorily explained. Dosage would have an effect and of course the doorknob method would give an uncontrolled dosage. But that the two different random dosages were such that they affected each of these two very different people at just the same moment, so that neither could call for help, is an extreme coincidence. It is almost as unlikely as the person who walks by next being the Chief Nurse of the British Army. After the poisoning of Charlie Rowley and Dawn Sturgess, the Police cordoned off Charlie Rowley’s home and began a search for “Novichok”, in an attitude of extreme urgency because it was believed this poison was out amidst the public. They were specifically searching for a small phial of liquid. Yet it took 11 days of the search before they allegedly discovered the “novichok” in a perfume bottle sitting in plain sight on the kitchen counter – and only after they had discovered the clue of the perfume bottle package in the bin the day before, after ten days of search. The bottle was out of its packaging and “novichok”, of which the tiniest amount is deadly, had been squirted out of its nozzle at least twice, by both Rowley and Sturgess, and possibly more often. The exterior of the bottle/nozzle was therefore contaminated. Yet the house, unlike the Skripals’ roof space, has not had to be destroyed. I do not believe it took the Police eleven days to find the very thing they were looking for, in plain sight as exactly the small bottle of liquid sought, on a kitchen bench. What else was happening? The BBC’s “Diplomatic Editor” is a regular conduit for the security services. He fronted much of the BBC’s original coverage of the Skripal story. Yet he concealed from the viewers the fact that he had been in regular contact with Sergei Skripal for months before the alleged poisoning, and had held several meetings with Skripal. This is extraordinary behaviour. It was the biggest news story in the world, and news organisations, including the BBC, were scrambling to fill in the Skripals’ back story. Yet the journalist who had the inside info on the world’s biggest news story, and was actually reporting on it, kept that knowledge to himself. Why? Urban was not only passing up a career defining opportunity, it was unethical of him to continually report on the story without revealing to the viewers his extensive contacts with Skripal. The British government had two immediate reactions to the Skripal incident. Within the first 48 hours, it blamed Russia, and it slapped a D(SMA) notice banning all media mention of Skripal’s MI6 handler, Pablo Miller. By yet another one of those extraordinary coincidences, Miller and Urban know each other well, having both been officers together in the Royal Tank Regiment, of the same rank and joining the Regiment the same year. The lack of openness of Urban in refusing to answer these questions, and the role played by the BBC and the MSM in general in marching in unquestioning lockstep with the British government narrative, plus the “coincidence” of Urban’s relationship with Pablo Miller, give further reason for scepticism of the official narrative. The official narrative insists that Boshirov and Petrov brought “novichok” into the country; that minute quantities could kill; that they disposed of the novichok that did kill Dawn Sturgess. It must therefore have been of the highest priority to inform the public of the movements of the suspects and the possible locations where deadly traces of “novichok” must be lurking. Yet there was at least a four month gap between the police searching the Poplar hotel where Boshirov and Petrov were staying, allegedly discovering traces of novichok in the hotel room, and the police informing the hotel management, let alone the public, of the discovery. That is four months in which a cleaner might have fatally stumbled across more novichok in the hotel. Four months in which another guest in the same hotel might have had something lurking in their bag which they had picked up. Four months in which there might have been a container of novichok sitting in a hedge near the hotel. Yet for four months the police did not think any of this was urgent enough to tell anybody. The astonishing thing is that it was a full three months after the death of Dawn Sturgess before the hotel were informed, the public were informed, or the pictures of “Boshirov” and “Petrov” in Salisbury released. There could be no clearer indication that the authorities did not actually believe that any threat from residual novichok was connected to the movements of Boshirov and Petrov. Similarly the metadata on the famous CCTV images of Boshirov and Petrov in Salisbury, published in September by the Met Police, showed that all the stills were prepared by the Met on the morning of 9 May – a full four months before they were released to the public. But this makes no sense at all. Why wait a full four months for people’s memories to fade before issuing an appeal to the public for information? This makes no sense at all from an investigation viewpoint. It makes even less sense from a public health viewpoint. If the authorities were genuinely worried about the possible presence of deadly novichok, and wished to track it down, why one earth would you wait for four months before you published the images showing the faces and clothing and the whereabouts of the people you believe were distributing it? The only possible conclusion from the amazing four month delays both in informing the hotel, and in revealing the Boshirov and Petrov CCTV footage to the public, is that the Metropolitan Police did not actually believe there was a public health danger that the two had left a trail of novichok. Were the official story true, this extraordinary failure to take timely action in a public health emergency may have contributed to the death of Dawn Sturgess. The metadat shows Police processed all the Salisbury CCTV images of Boshirov and Petrov a month before Charlie Rowley picked up the perfume. The authorities claim the CCTV images show they could have been to the charity bin to dump the novichok. Which begs the question, if the Police really believed they had CCTV of the movements of the men with the novichok, why did they not subsequently exhaustively search everywhere the CCTV shows they could have been, including that charity bin? The far more probable conclusion appears to be that the lack of urgency is explained by the fact that the link between Boshirov and Petrov and “novichok” is a narrative those involved in the investigation do not take seriously. There are elements of the accepted narrative of Boshirov and Petrov’s movements that do not make sense. As the excellent local Salisbury blog the Blogmire points out, the CCTV footage shows Boshirov and Petrov, after they had allegedly coated the door handle with novichok, returning towards the railway station but walking straight past it, into the centre of Salisbury (and missing their first getaway train in the process). They then wander around Salisbury apparently aimlessly, famously window shopping which is caught on CCTV, and according to the official narrative disposing of the used but inexplicably still cellophane-sealed perfume/novichok in a charity donation bin, having walked past numerous potential disposal sites en route including the railway embankment and the bins at the Shell garage. But the really interesting thing, highlighted by the blogmire, is that the closest CCTV ever caught them to the Skripals’ house is fully 500 metres, at the Shell garage, walking along the opposite side of the road from the turning to the Skripals. There is a second CCTV camera at the garage which would have caught them crossing the road and turning down towards the Skripals’ house, but no such video or still image – potentially the most important of all the CCTV footage – has ever been released. However the 500 metres is not the closest the CCTV places the agents to the Skripals. From 13.45 to 13.48, on their saunter into town, Boshirov and Petrov were caught on CCTV at Dawaulders coinshop a maximum of 200 metres away from the Skripals, who at the same time were at Avon Playground. The bin at Avon playground became, over two days in the immediate aftermath of the Skripal “attack”, the scene of extremely intensive investigation. Yet the Boshirov and Petrov excursion – during their getaway from attempted murder – into Salisbury town centre has been treated as entirely pointless and unimportant by the official story. Finally, the behaviour of Boshirov and Petrov in the early hours before the attack makes no sense whatsoever. On the one hand we are told these are highly trained, experienced and senior GRU agents; on the other hand, we are told they were partying in their room all night, drawing attention to themselves with loud noise, smoking weed and entertaining a prostitute in the room in which they were storing, and perhaps creating, the “novichok”. The idea that, before an extremely delicate murder operation involving handling a poison, a tiny accident with which would kill them, professionals would stay up all night and drink heavily and take drugs is a nonsense. Apart from the obvious effect on their own metabolisms, they were risking authorities being called because of the noise and a search being instituted because of the drugs. That they did this while in possession of the novichok and hours before they made the attack, is something I simply do not believe. Until the narrative changed to Boshirov and Petrov arriving in Salisbury just before lunchtime and painting the doorknob, the official story had been that the Skripals left home around 9am and had not returned. They had both switched off their mobile phones, an interesting and still unexplained point. As you would expect in a city as covered in CCTV as Salisbury, their early morning journey was easily traced and the position of their car at various times was given by the police. Yet no evidence of their return journey has ever been offered. There is now a tiny window between Boshirov and Petrov arriving, painting the doorknob apparently with the Skripals now inexplicably back inside their home, and the Skripals leaving again by car, so quickly after the doorknob painting that they catch up with Boshirov and Petrov – or certainly being no more than 200 metres from them in Salisbury City Centre. There is undoubtedly a huge amount of CCTV video of the Skripals’ movements which has never been released. For example, the parents of one of the boys who Sergei was chatting with while feeding the ducks, was shown “clear” footage by the Police of the Skripals at the pond, yet this has never been released. This however is the moment at which the evidence puts Boshirov and Petrov at the closest to them. What does the concealed CCTV of the Skripals with the ducks show? Why has so little detail of the Skripals’ movements that day been released? What do all the withheld CCTV images of the Skripals in Salisbury show? Only in the last couple of days have the police finally admitted there is a real problem with the fact that Charlie Rowley insists that the perfume bottle was fully sealed, and the cellophane difficult to remove, when he discovered it. Why the charity collection bin had not been emptied for three months has never been explained either. Rowley’s recollection is supported by the fact that the entire packaging was discovered by the police in his bin – why would Boshirov and Petrov have been carrying the cellophane around with them if they had opened the package? Why – and how – would they reseal it outdoors in Salisbury before dumping it? Furthermore, there was a gap of three months between the police finding the perfume bottle, and the police releasing details of the brand and photos of it, despite the fact the police believed there could be more out there. Again the news management agenda totally belies the official narrative of the need to protect the public in a public health emergency. This part of the narrative is plainly nonsense. The Integrity Initiative specifically paid Dan Kaszeta to publish articles on the Skripal case. In the weekly collections of social media postings the Integrity Initiative sent to the FCO to show its activity, over 80% were about the Skripals. Governments do not institute secret campaigns to put out covert propaganda in order to tell the truth. The Integrity Initiative, with secret FCO and MOD sourced subsidies to MSM figures to put out the government narrative, is very plainly a disinformation exercise. More bluntly, if the Integrity Initiative is promoting it, you know it is not true. Most sinister of all is the Skripal Group convened by the Integrity Initiative. 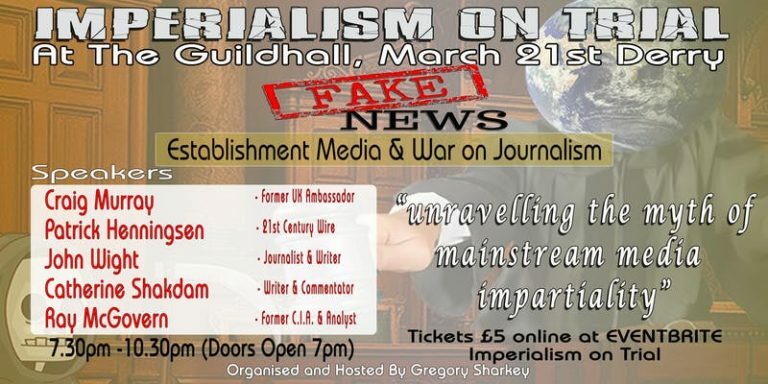 This group includes Pablo Miller, Skripal’s MI6 handler, and senior representatives of Porton Down, the BBC, the CIA, the FCO and the MOD. Even if all the other ludicrously weak points in the government narrative did not exist, the Integrity Initiative activity in itself would lead me to understand the British government is concealing something important. I do not know what happened in Salisbury. Plainly spy games were being played between Russia and the UK, quite likely linked to the Skripals and/or the NATO chemical weapons exercise then taking place on Salisbury Plain yet another one of those astonishing coincidences. What I do know is that major planks of the UK government narrative simply do not stand up to scrutiny. Plainly the Russian authorities have lied about the identity of Boshirov and Petrov. What is astonishing is the alacrity with which the MSM and the political elite have rallied around the childish logical fallacy that because the Russian Government has lied, therefore the British Government must be telling the truth. It is abundantly plain to me that both governments are lying, and the spy games being played out that day were very much more complicated than a pointless revenge attack on the Skripals. I do not believe the British Government. I have given you the key points where the official narrative completely fails to stand up. These are by no means exhaustive, and I much look forward to reading your own views. I am working on two big pieces: one on the Skripals and one on the Chagos Islands judgement. The Skripal piece in particular is occasioning a great deal of thought, so apologies for the delay. Nadira is away working so I am single parenting, which means very little Lagavulin, without which my brain synapses don’t connect properly. I hope however to get enough sparks flying and get the Skripal piece up today. This represents a serious escalation in the UK’s rejection of multilateralism and international law and a move towards joining the US model of exceptionalism, standing outside the rule of international law. As such, it is arguably the most significant foreign policy development for generations. In the Iraq war, while Britain launched war without UN Security Council authority, it did so on a tenuous argument that it had Security Council authority from earlier resolutions. The UK was therefore not outright rejecting the international system. On Chagos it is now simply denying the authority of the International Court of Justice; this is utterly unprecedented. Duncan put forward two arguments. Firstly that the ICJ opinion was “only” advisory to the General Assembly. Secondly, he argued that the ICJ had no jurisdiction as the case was a bilateral dispute with Mauritius (and thus could only go before the ICJ with UK consent, which is not given). But here Duncan is – against all British precedent and past policy – defying a ruling of the ICJ. The British government argued strenuously in the present case against ICJ jurisdiction, on just the grounds Duncan cited. The ICJ considered the UK’s arguments, together with arguments from 32 other states and from the African Union. The ICJ ruled that it did have jurisdiction, because this was not a bilateral dispute but part of the UN ordained process of decolonisation. 88. The Court therefore concludes that the opinion has been requested on the matter of decolonization which is of particular concern to the United Nations. The issues raised by the request are located in the broader frame of reference of decolonization, including the General Assembly’s role therein, from which those issues are inseparable (Western Sahara, Advisory Opinion, I.C.J. Reports 1975, p. 26, para. 38; Legal Consequences of the Construction of a Wall in the Occupied Palestinian Territory, Advisory Opinion, I.C.J. 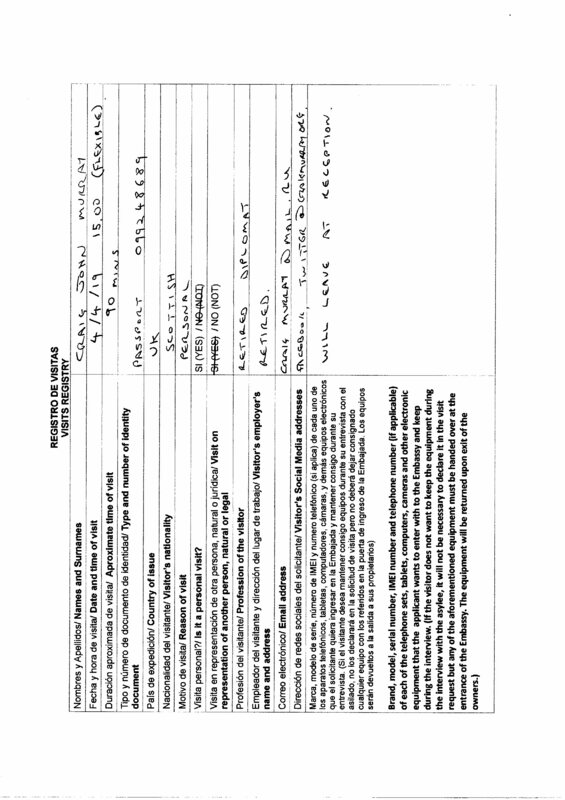 Reports 2004 (I), p. 159, para. 50). 89. Moreover, the Court observes that there may be differences of views on legal questions in advisory proceedings (Legal Consequences for States of the Continued Presence of South Africa in Namibia (South West Africa) notwithstanding Security Council Resolution 276 (1970), Advisory Opinion, I.C.J. Reports 1971, p. 24, para. 34). However, the fact that the Court may have to pronounce on legal issues on which divergent views have been expressed by Mauritius and the United Kingdom does not mean that, by replying to the request, the Court is dealing with a bilateral dispute. 90. In these circumstances, the Court does not consider that to give the opinion requested would have the effect of circumventing the principle of consent by a State to the judicial settlement of its dispute with another State. The Court therefore cannot, in the exercise of its discretion, decline to give the opinion on that ground. 91. In light of the foregoing, the Court concludes that there are no compelling reasons for it to decline to give the opinion requested by the General Assembly. As stated at para 183, that the court did have jurisdiction was agreed unanimously, with even the US judge (the sole dissenter on the main question) in accord. For the British government to reject the ICJ’s unanimous ruling on jurisdiction, and quote that in parliament as the reason for not following the ICJ Opinion, is an astonishing abrogation of international law by the UK. It really is unprecedented. The repudiation of the UN Working Group on Arbitrary Detention over Julian Assange pointed the direction the UK is drifting, but that body does not have the prestige of the International Court of Justice. The International Court of Justice represents the absolute pinnacle of, and embodies the principle of, international law. In 176 decisions, such as Nigeria vs Cameroon or Malaysia vs Indonesia, potentially disastrous conflicts have been averted by the states’ agreement to abide by the rule of law. The UK’s current attack on the ICJ is a truly disastrous new development. I have taken it for granted that you know that the reason the UK refuses to decolonise the Chagos Islands is to provide an airbase for the US military on Diego Garcia. If Brexit goes ahead, the Chagos Islands will also lead to a major foreign policy disagreement between the UK and US on one side, and the EU on the other. The EU will be truly shocked by British repudiation of the ICJ. I have studied the entire and lengthy ICJ Opinion on the Chagos Islands, together with its associated papers, and I will write further on this shortly. Has the Elite’s Slavish pro-Israel Agenda Finally Gone Too Far? Javid’s move is primarily aimed at pleasing Israel and looking to score political points over Jeremy Corbyn, whose past contacts with Hezbollah can now be deemed terrorist. But it is also a move to please the UK elite’s other paymaster, Mohammed Bin Salman, by further forwarding his attempt to delegitimise and to subjugate Arab Shia communities. Coupled with the irony of announcing DFID support of £200 million for Yemeni victims of our very own bombs and “military support”, this is a shameful week for British foreign policy. 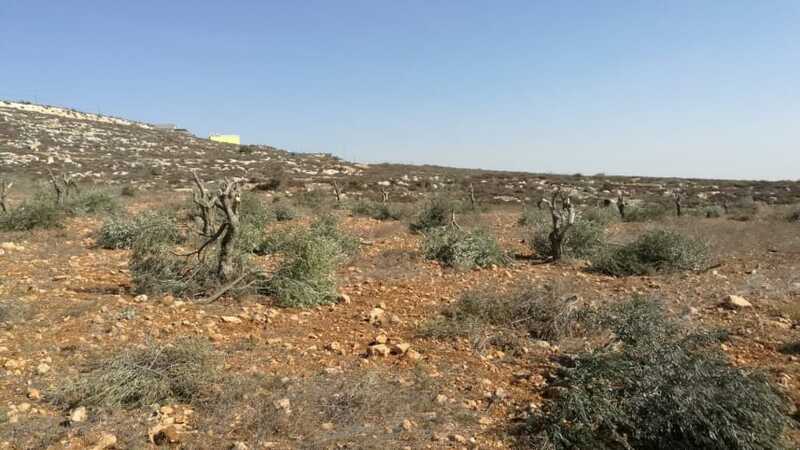 I first became devoted to the Palestinian cause as a first year student at Dundee University, when I watched a film about Israeli destruction of Palestinian olive trees in the occupied territories, to devastate their economic base and force families to leave. That film made me cry. How many children has the Israeli “Defence” Force killed since the MSM last reported one? 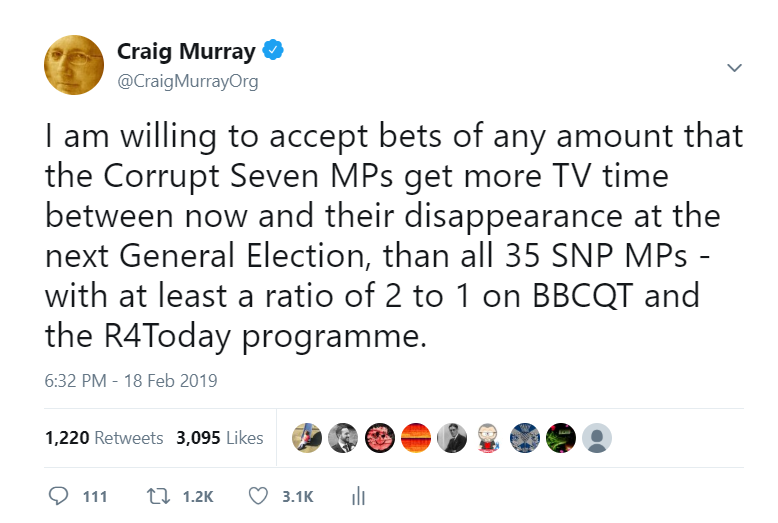 It did not take me long to be proved right about this tweet, as the Funny Tinge Group Ltd was immediately promoted to a seat on BBC Question Time, and are going to be there next week too. The BBC no longer has Westminster’s third party on QT every week, or given much airtime on other news and current affairs programmes, on the grounds the SNP are a “regional body” and thus not entitled to the consideration the Lib Dems got as third party in Westminster. The Funny Tinge Independent Integrity Initiative Group Ltd (Dir. Shai Masot) are of course not a party at all, they are a limited company, and they have no members. One thing they most certainly are is a “regional body”. Not a single vote in Scotland or Wales has ever been cast for them. Though I can think of a disused factory near Auchtermuchty that might vote for them. What do we know of their policies? Well we know that are very much against criticism of Israel. We know they think the Cameron coalition government did a very good job on austerity. We know they are against renationalisation of utilities and against abolition of tuition fees and against higher taxes on the rich. I am sure something will eventually distinguish them from the Tories other than Brexit, but they haven’t thought of it yet. At some stage they will have to form a political party. Once the unbounded bias of the MSM is moderately constrained by general election rules, they will need to be a party to get broadcast time. If they enter into an alliance with the Lib Dems, they will have to split the Lib Dems broadcast time; I do not see that happening. Has anybody heard any of the “Independent Group” ever mention Scotland, once, in the vast tsunami of media coverage they have been given? I presume at some stage, somebody will alert them to the existence of Scotland, and possibly even tell them how to come here. The political landscape of Scotland is very different to that in England and Wales. A large majority of the left-wingers who flocked to Corbyn are, in Scotland, unavailable as they are committed to the Independence movement, myself included. Scottish Labour has therefore been led by a rump of unreconstructed Blairite careerists lurking in the branch office (that may be slightly unfair on Richard Leonard, but as I still have no idea who he is I cannot be sure). With no deselection pressures, the Labour MPs have little career incentive to move, except perhaps Ian Murray, elected very largely on Tory votes and a right winger of limited intellectual grasp anyway. The Independent Group plc is both right wing and fashionable, and therefore a perfect fit for Morningside. Scotland’s Tory MPs are mostly, aside from the Ross Thomson testicle grabbing tendency (allegedly), on the wet side, with pro-EU voters. But their voters are rural and traditionalist and unlikely to be thrilled by the appeal of a wholly new group. It should be remembered too that, contrary to incessant MSM propaganda, the media-induced Davison “surge” peaked at 28% and is now around 25% and falling faster than a Hebridean barometer. The Funny Tinge Corporation is nonetheless going to need to insert itself into Scotland. This cannot but be great news for the SNP. It is really simple. A unionist vote split three ways will now be split four ways which, under FPTP, is a disaster for the Unionists. The corollary is that it is more important than ever that the Yes movement stay united behind the SNP. And the further corollary of that is that the SNP must listen to the voice of the Yes movement, forget the devolution settlement and push on towards early Independence. The attitude to immigrants which is betrayed by the stripping of citizenship from Shamima Begum is truly appalling. A British citizen, born in the UK, is deemed to be a citizen of another country they have never seen, because their immigrant parents came from there. To refuse to accept first generation Britons are Britons, as in Windrush, was bad enough. To claim that second generation Britons are not British, but rather citizens of where their ancestors “came from”, is racism pure and simple. Begum is not a sympathetic figure. Savid Javid could not have found an easier target for his macho display of vindictiveness, guaranteed to win plaudits from the bigots whose votes Javid needs for his looming Tory leadership bid. Javid knows full well his decision will eventually be overturned by the courts, but he has already achieved his political objective of personal self-aggrandisement. I do not know everything Begum has personally been doing in Syria and to what extent she has been culpable in any of the crimes of the Saudi backed jihadist group Daesh, originally launched by the CIA as a counterweight to Shia influence in Iraq. Begum, as with other members of the ISIS community in Syria, ought initially to be subject to any legal proceedings by the Syrian authorities on behalf of the Syrian people against whom such dreadful crimes were committed. If of no interest to the Syrian justice system or once any sentence has been completed, she should be returned to the UK and then subject to investigation as to whether any UK crimes were committed. All these processes need to take into account that she arrived in Syria as a minor, has been subject to indoctrination, and may well have severe mental health issues. In a situation where the government is falling over itself to bring members of the UK-funded jihadist support group the White Helmets to the UK, having no claim to British citizenship; in a situation where jihadist activity in Syria was entirely dependent on finance, supplies and air support from the US, UK, and its Gulf State allies; in a situation where the Royal Navy had evacuated the Manchester bomber en route back to the UK after his Western backed terrorist jaunt in Libya; in a situation where the Manchester, Westminster and London Bridge terrorists all had extensive pre-existing relationships with the British security services; in all these circumstances, the decision to crack down to general applause on a bewildered East London child is a sickening example of the lack of ethics in modern politics.